In January I had the pleasure of visiting New York City (for the very first time) and believe it or not, the weather was lovely. I was in town for work (transporting an artifact with a colleague) and took the opportunity to tour some of NYC’s world-class museums. I have several posts to share in the coming weeks from my NYC adventure – after all, we toured (in less than 48 hours, mind you) the Tenement Museum, 9/11 Memorial, the Metropolitan Museum of Art, the American Museum of Natural History, the New York Historical Society, and then the Met *again* with the amazing folks at Museum Hack. 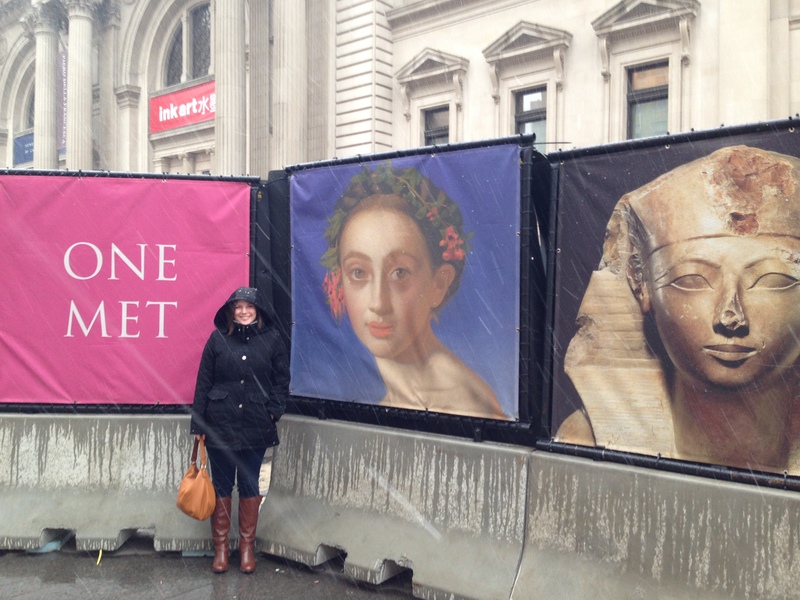 …minus the 15 minutes of snow/rain while waiting to enter the Met for our Museum Hack tour. What is Museum Hack, you ask? Museum Hack, in their own words, is, “a highly interactive, subversive, fun, non-traditional museum tour.” Basically, Museum Hack has created an engaging tour methodology for people who do not “like” museums. How did I find out about Museum Hack? 1. 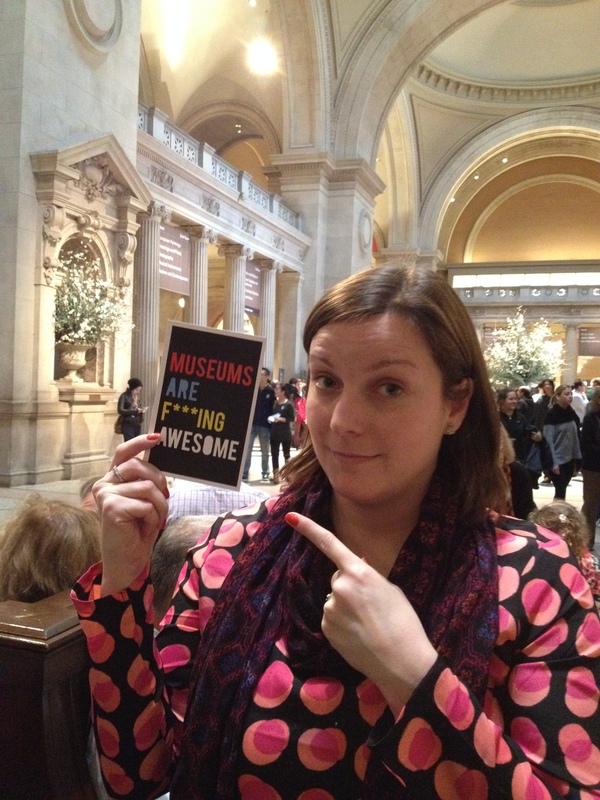 I’m Twitter pals with Museum Hacker, Jen Oleniczak (@TheEngagingEd). 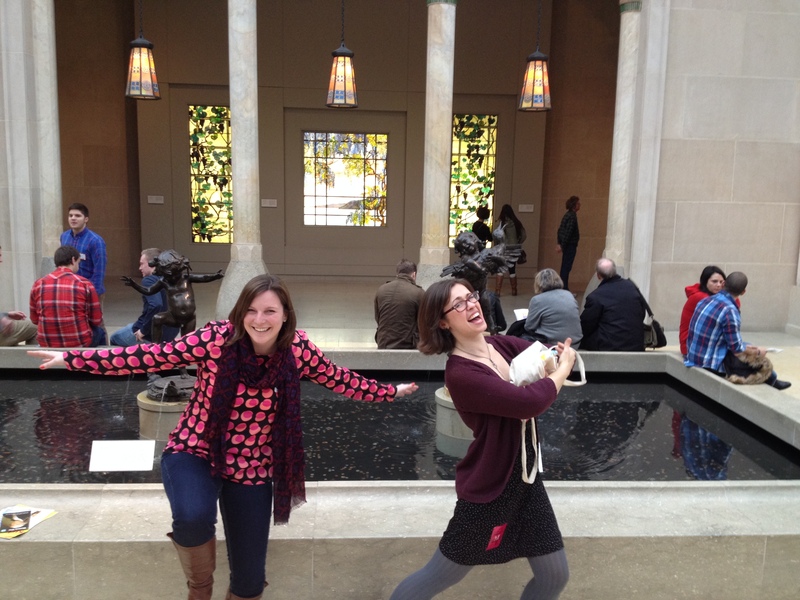 Me & Jen: goofing around at the Met or mimicking the fountains behind us? You decide. So, what did I think of the experience? I love museums, and have since I was a little girl (thanks, dinosaurs!). I even enjoy boring lecture style tours, not because I don’t think they’re boring (so often they are) but I feel like they are a sort-of “rite of passage” for me as a museum professional. If I’m bored on a tour – which means everyone else probably is, since I live for this stuff – I like to think of ways in which what we do and how we present objects, stories, and people can be translated/presented into a new experience for those who are not as nerdy as me can enjoy. Personally, I don’t think creating a sense of understanding (which so many museum tours seem to focus on) is the issue/challenge – people aren’t dumb – but, for people to truly appreciate what museums have to offer I believe they have to enjoy and find meaning in what we offer through the lens of their own personal interests and experiences. Stepping off my soapbox and back into the Hack Tour. 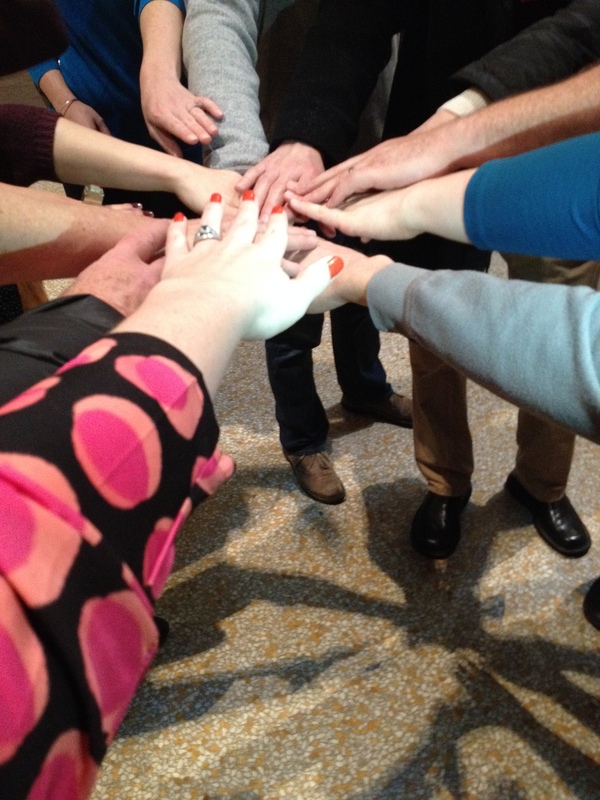 Every Museum Hack tour begins with a huddle – yes, with strangers you just met (at the Met! Ha!). After a brief round of hellos and introductions everyone is instructed to put their hands in, and on the count of three, throw their hands in the air and shout (think more along the lines of a loud whisper) a rousing “MUUUUSEEEUUM!” as a unified group and the adventure begins. Yes, people stare because it looks like you may be already having more fun than they have had all day. Each tour is different and gauged on the interests and energy of the group. Museum Hack believes art is social and their “un-highlights” tour philosophy puts an alternative spin on the museum experience, featuring some of the “strangest, wildest, sexiest stories hidden throughout the museum’s galleries.” The team at Museum Hack refers to themselves as a “band of renegade lovers” of the Met – they know the bizarre, lesser known, fun facts that often go unnoticed in a traditional highlights tour. If you’ve never been to the Met – it’s HUGE. You can get lost in it (and I think you should). There’s so much to see and the “fine dining” tour example really works. Museum Hack brings the museum to you versus bringing you to the museum. This is probably a good place to point out that Museum Hack is not affiliated with the Met, and yes, the museum is aware of the company and the tours they offer. Look at how much fun I’m having trying to sculpt myself…I promise I’m laughing NOT crying! When’s the last time you were asked what you think about a curator based on how a display case is organized (all while learning about drinking games from the 1700s)? Or were “molded” into one of Rodin’s sculptures to ponder what was going through his mind as he sculpted and intentionally placed imperfections? Or were asked what you would steal out of a modern art gallery? All of this happened on our tour. Believe it or not, I’m of the camp that “it’s okay” if some people don’t like museums. That being said, I do think museums have something to offer everyone. This is where Museum Hack fills the void. Looking for a good time? Take the tour. Intimidated or bored by docents? Take the tour – you will be entertained. Looking to see what a museum can be like when none of the “official” museum people are around? Take the tour – this is it. This also works in reverse. 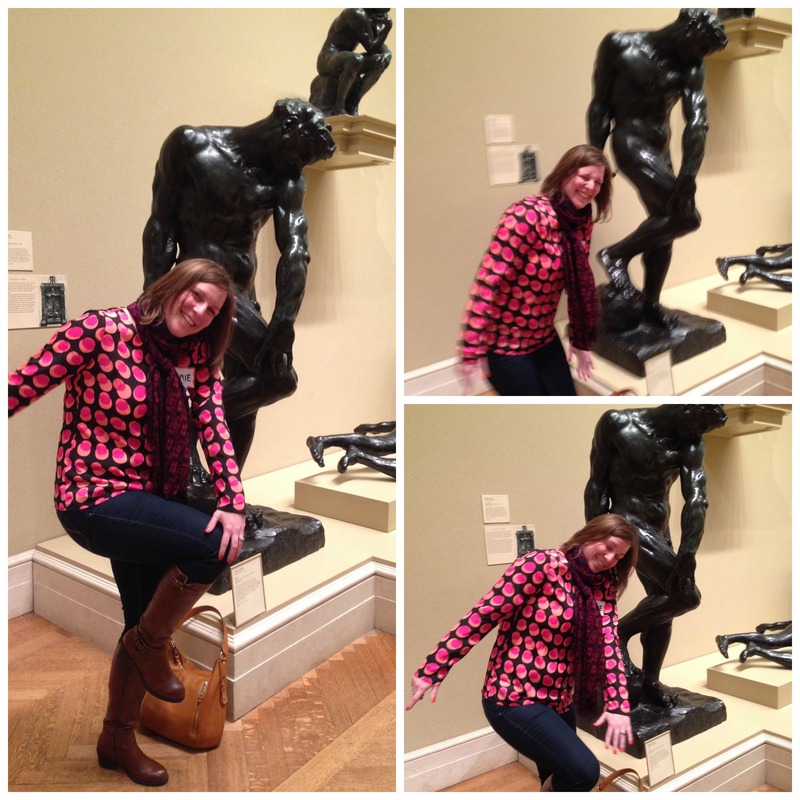 There was a couple on our tour who were, how do I say this…museum traditionalists? That’s not a bad thing. They travel to, support, tour, and love museums. It made them uncomfortable and they left the tour shortly after everyone in the group introduced themselves by physically demonstrating a “power move” that defined them – in a museum gallery, in front of strangers. Just like the traditional museum experience may not be for everyone – Museum Hack may not be for everyone, either. Again, that’s okay. It’s great to have options. Museums would be smart to find ways to provide more of them. Meet audiences where they are at – that’s what Museum Hack does – and they do it well. 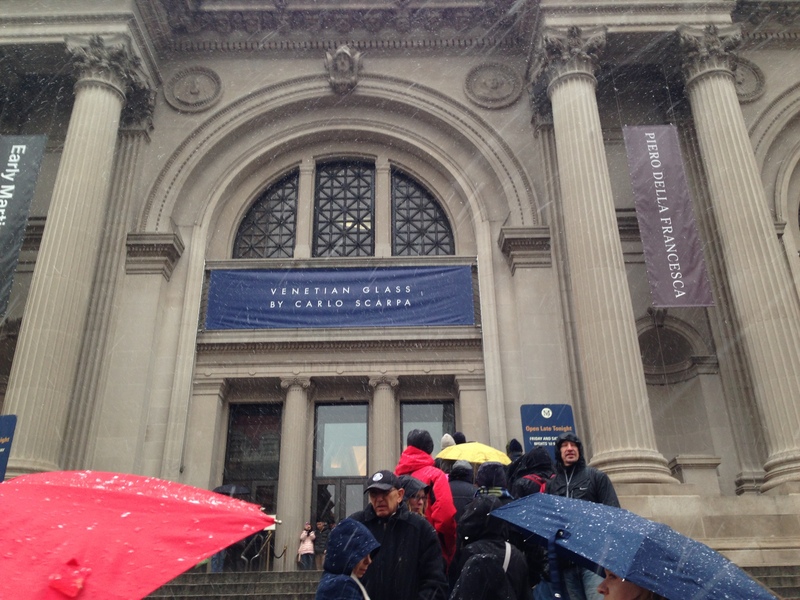 Next time you’re in NYC check them out (and tell them Museum Minute sent you!). Postcard handed out at the end of each Museum Hack tour (and I agree wholeheartedly). Tags: 9/11 Memorial, American Museum of Natural History, Art Museum Teaching blog, Jen Oleniczak, Metropolitan Museum of Art, Museum Hack, museum tour experience, New York City, New York Historical Society, Tenement Museum. Bookmark the permalink. Jamie – I SO appreciated this posting! What a brilliant way to approach a museum visit, particularly one that aims to soak up a large footprint, densely populated with objects, in a condensed period of time. Inspired a great many ideas…thank you for taking the time to share! Thanks, Alex! I’ve been meaning to share this post sooner but things have been a bit crazy “back at the ranch”. Museum Hack is easily one of the most fun, engaging museum tours I have ever been on (and when I hear someone is headed to NYC for a day or a week I always say, “you have to take a Museum Hack tour!”). I’m so glad you are/were inspired by this post! The more I hear about these, the more I want to go on one. This looks AWESOME. Thanks for sharing! Happy to share, Bethany! I’m thinking about creating another Museum Hack post sharing my live tweets and twitpics. I can’t wait to go back to NYC and geek out about dinosaurs, science, and everything else natural history (I can probably talk my husband into it, too!). Brilliant. Agreed, visitors do find meaning through their own interests and experiences, but how do museums facilitate/acknowledge this? Museum Hack sounds like a great way in. Stories about objects are my thing. Love seeing & hearing visitor responses, the surprising ways in which they engage. Do you know if there is there an equivalent of museum hack in the UK? Reblogged this on thinking museum.